This week Mayor and Council in Square and Suburbs will be at Little Hawk Café, (14 Strang St Beaconsfield) from 11am this Wednesday. Come down and have a chat. 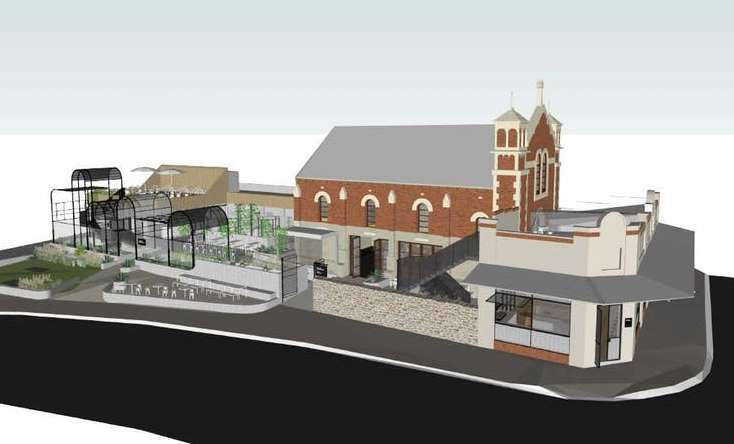 The City of Fremantle is offering up one of its underutilised land holdings to be transformed into a medium to high-density development incorporating cutting edge sustainability. The announcement comes as the council fronts an inquiry into the federal government’s role in the development of cities, arguing for policy interventions to limit Perth’s urban sprawl. The 25,316 square metre Knutsford Street depot has been identified as one of the council’s top five corporate actions in meeting its One Planet Council obligations. As part of a just-released call for tenders, interested parties will have to commit to a development of at least 7 star NatHERS that generates more energy than it uses, diverts 95 per cent of waste from landfill, reduces car parking, includes sustainable materials, has 30 per cent of trees as edible species, reduces potable water by 60-70 per cent, and achieve Silver or Gold level under Liveable Housing Australia guidelines. The winning bid will also need to offer select sites or an agreed proportion to social or affordable housing, or innovative housing groups. It should also offer a range of housing typologies, involving local artistic and cultural groups. Fremantle chief executive officer Phillip St John said the proposed sale had strong community support. “The City of Fremantle prides itself on being a leader in diverse and sustainable housing through initiatives like the WGV development and the recently adopted Freo Alternative infill policy,” he said. Details on potential land sale price (and potential discounts) were not revealed, however a caveat on the previous 7 Quarry Street site, scheduled to be transformed into a baugruppen development, was that it was to be sold at or above market price. The announcement comes as Fremantle City Council fronts the House Standing Committee on Infrastructure, Transport and Cities inquiry into the federal government’s role in the development of cities. It is calling for the state to return to a 60 per cent infill target (up from 47 per cent). “In Perth it costs the government $150 000 to provide infrastructure for every new lot in outer developments, against $55 000 for infill development,” its submission said. Doing so could save $23 billion by 2050, it said, but was contingent on public transport being invested in upfront, designing for people and place, and committing to greater urban density that is sustainable and includes affordable product. Committee chair John Alexander was the committee was interested to find out why sprawl continued to even as governments recognised the benefits of infill development. “The committee is very focussed on uncovering the barriers to a more compact urban form and effective solutions,” Mr Alexander said. The state government recently suspended work on its Perth and Peel Green Growth Plan for 3.5 million.